12.30 onwards. 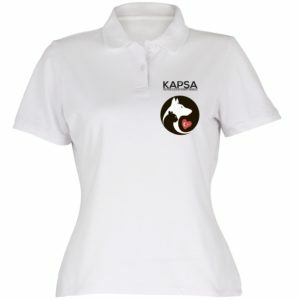 Raffle to be drawn at 15.00. 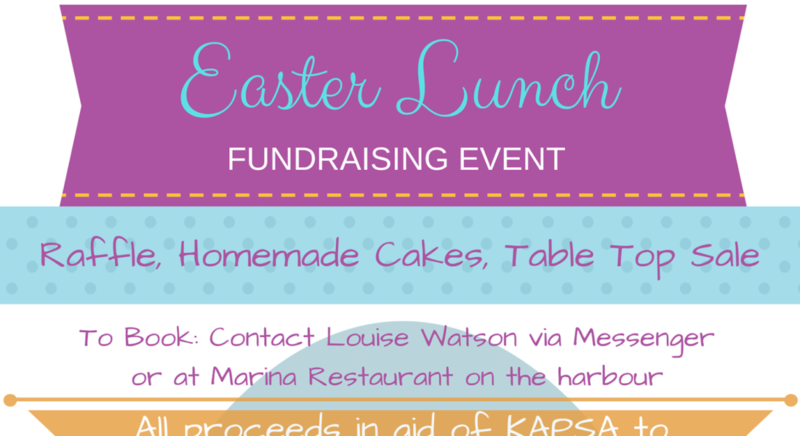 Marina Restaurant are very kindly hosting another Easter Lunch on Friday 19th April 2019. The price per person is 60 lira per person for a delicious 2 course lunch, with 12 lira per person kindly donated to KAPSA by Marina Restaurant. As in previous years we will have a cake stall, table top sale and a raffle … fingers crossed the sun will be shining! If anyone can donate a raffle prize please let us know. We would also be very grateful for donations of home made cakes and pastries. 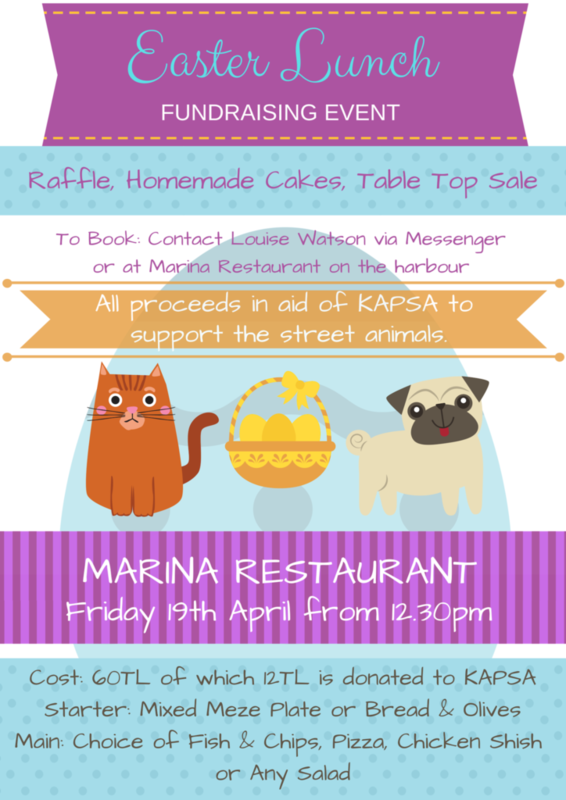 The menu is detailed on the advertising poster, and if you are here and would like to book a table please PM Louise Watson via FB Messenger or book directly at Marina and we will contact you. Thank you … and we look forward to seeing you there.